As a result of increasing volatility in demand many companies are busy implementing Sales & Operations Planning. They try to get beyond balancing forecasted demand and manufacturing volumes and incorporate financial budgets and business scenarios. What should companies consider to get to a next level of S&OP? 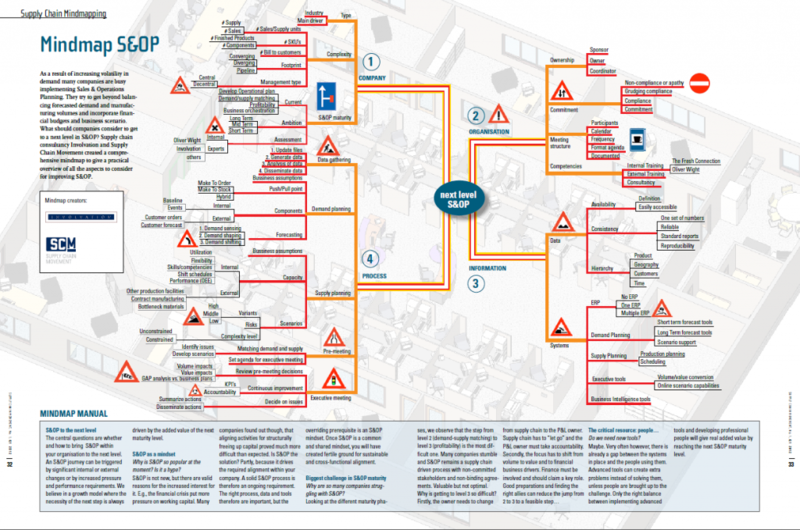 Supply chain consultancy Involvation and Supply Chain Movement created a comprehensive mindmap to give a practical overview of all the aspects to consider for improving S&OP.